One of the most classic cocktails in the history of bar drinks is the Bloody Mary. 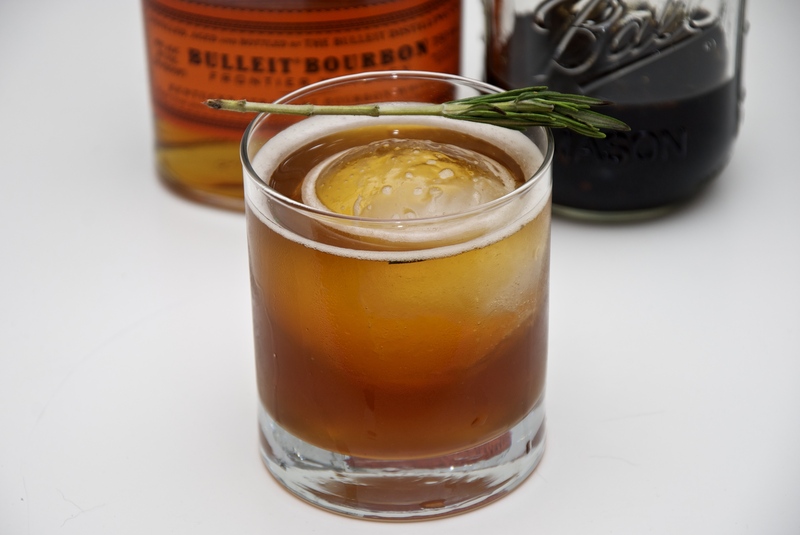 It is a divine combination of ingredients not regularly found in cocktails and spirits that compliment the flavor and the textures. What are those ingredients? It is tomato juice, Worcestershire sauce, hot sauce with the clear and neat spirit of Vodka. 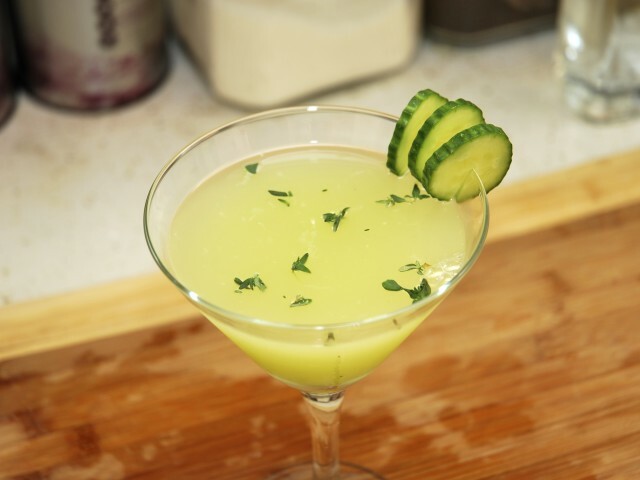 It is one of the very rare savory cocktails that are combined to give a fulfilling taste. Vodka being clean taste companies with everything sweet, sour and salty.But it is not the only spirit that can be used. Tequila for example has many qualities that make it savory. We actually did the salsa shots a while back that identifies and compliments that particular quality of the Tequila. 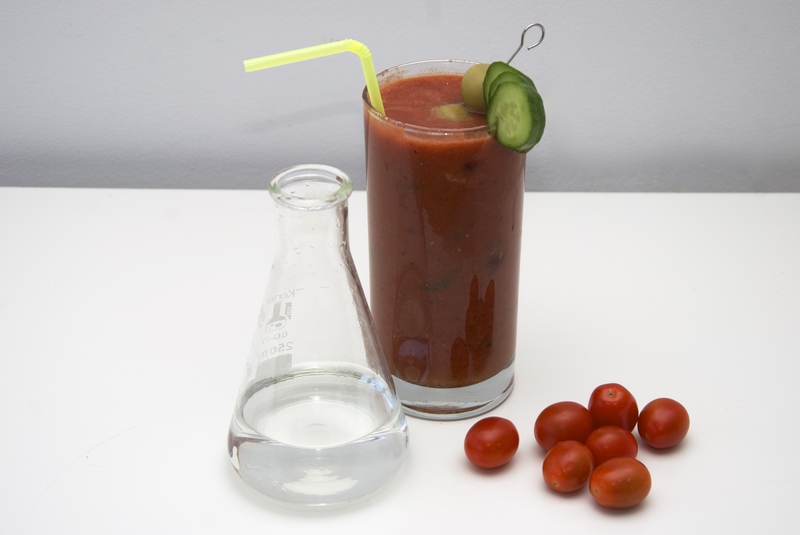 The substitution of Vodka with Tequila is actually called, brilliantly, Bloody Maria. Today we are combining another savory drink the Tsikoudia (raki) that is also savory and combines excellently with flavors like tomato and cucumber. The name of it? Bloody Mario, the Cretian nickname of Maria. With every fall, a very regular reoccurrence is the craze with pumpkin and the accompanying spice mixture dabbed as Pumpkin Spice. There is however another fruit that is equally (if not better) than pumpkin, but because we access it year around, we tend to neglect it. It is the apple. Although varieties like, fuji, gala and macintosh are available year around there are some of them like the honeycrisp, are only available for a small window between later September and early November. That is the regular season for the apples, and we have to honor them along side Johnny Appleseed, the man who solely is responsible for the spread of apples across America. 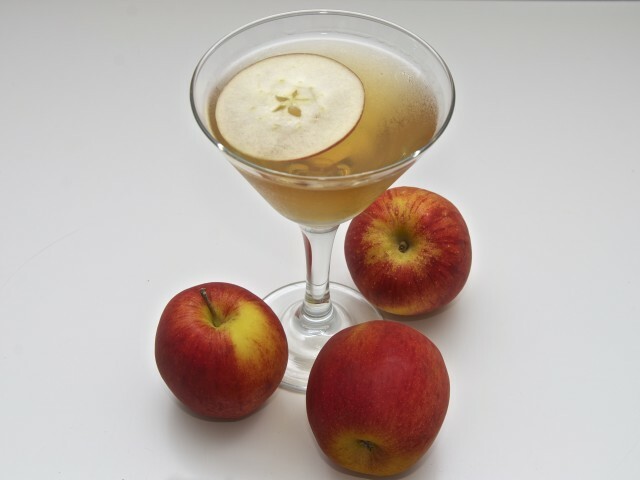 Let's make a cocktail to celebrate the apple season. There is a great Greek dessert that is called Greek Delight. It is actually more widely known as Turkish Delight, since it originated in Turkey. Some people still dispute that which is reasonable. After 400 years of culinary overlap recipes did exchange back and forth and many dishes lost origin. We can, however, give the credit to the Turkish for the development of this delightful dessert. Actually the Greek name of the dessert is loukoumi, very close to the turkish that is loukoum. Greeks though will keep calling it Greek delight just because. The delightful dessert is a gel made with corn starch, sugar and a flavoring. It is then covered in a mixture of powder sugar and cornstarch to prevent the pieces from sticking with each other, and on your fingers. The flavors predominant in Turkey are rose and pistachio. In Greece it is mastiha and rose. Mastiha is a unique spice produced at the island of Chios. In the past I have made another cocktail flavored with Mastiha and even a cheesecake. Here I make a cocktail inspired by the flavors of the Greek Delight (Mastiha and Rose). This cocktail merges the flavor of Masticha and Rose in one unique combination. When I think if America I think of Cowboys. I know America is so much more than just cowboys, but the cowboys are the poster boys of America. Maybe it is the cigaret commercials, maybe it is because of the hundreds of cowboy movies, maybe it is the iconic cowboy hat. As kid a used to imagine the cowboys not as the people that manage herds of cattle, but as people that were roaming the country looking for a saloon to get some whiskey and if possible pick up some trouble, pick up a gun fight and even steal a kiss. Yeah. To my childish eyes that was what a cowboy was. A guy with tough looks, soul piercing eyes, rough hands and the smell of smoke, gunpowder and whiskey follow him around. So this cocktail is just a tribute to my childhood heroes. Thanksgiving food is definitely good. But do you know what else is good? Thanksgiving drinks. And probably the most popular thanksgiving drinks are beer and wine. Beer is often associated with the football games, one of the main events during that day and the wine with formality of the dinner. 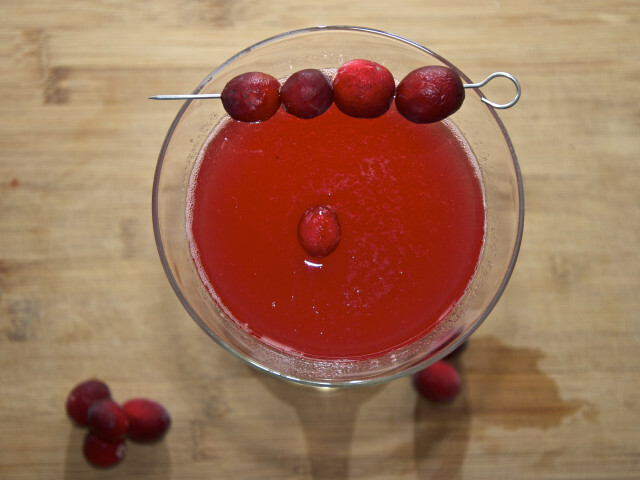 There is however another drink, that we seem to drink year around, based on cranberries, which for some reason we tend to ignore that day. I am talking of none other than the Cosmopolitan. 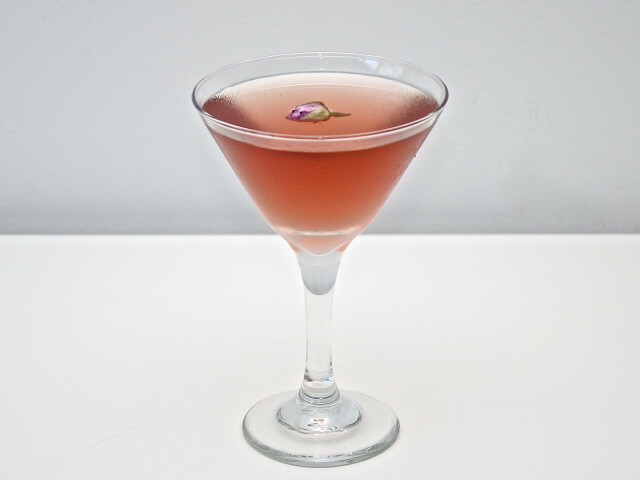 Cosmopolitan is a very popular drink, very refreshing, if it is made right way, and most importantly it is a simple drink. Due to the bright pinkish color it seems to be a very popular drink among the female population, and for the same reason it seems to be not as popular to the male population. Masticha is also known as the greek vanilla since it used to flavor the deserts in Greece before the fabulous vanilla appear in the picture. Personally although I don ‘t want to get into the game of supporting one versus the other, but I just think that mastic is more versatile and can substitute vanilla in 90% of the deserts. A different taste, but equally tasty. It was used since the ancient times, for various applications mainly for the hygiene of the mouth. 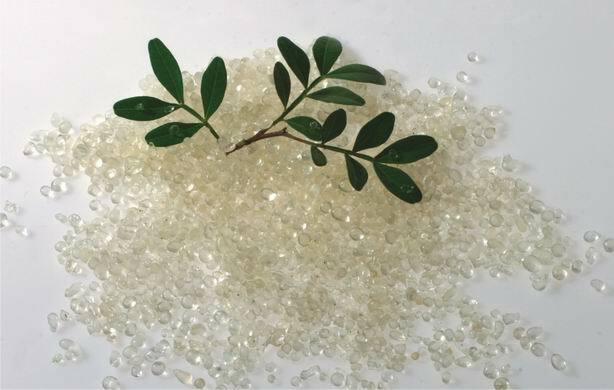 Currently the market is flooded with pills, mouth wash, gum and palms that carry as basic ingredient the masticha resin. So much that is actually easier to find the masticha products than the masticha itself.